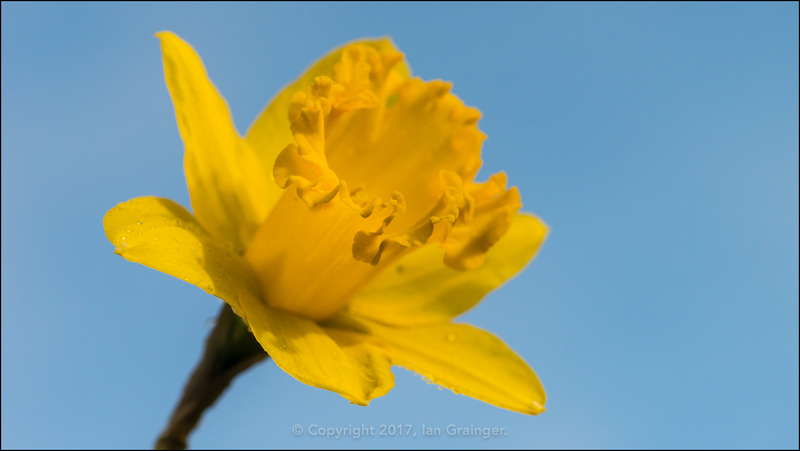 I always think that springtime has definitely arrived when the Daffodils (Narcissus) come out in force. We weren't quite there yet, but this particular specimen was leading the way and it wouldn't be long before many more followed. 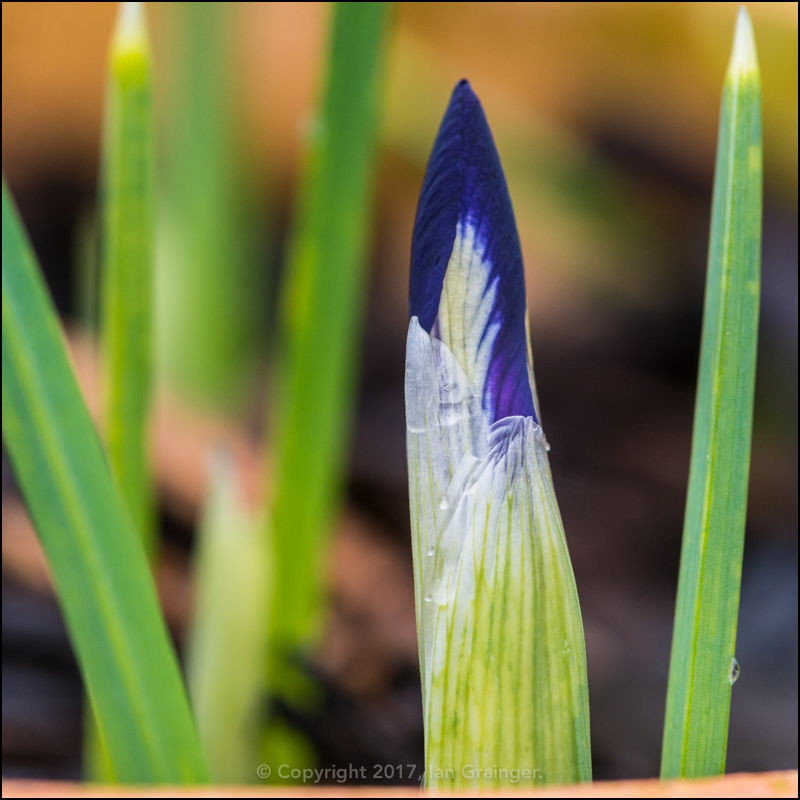 Initially, there were bright blue skies, and plenty of sunshine in dad's garden at the weekend, with the golden petals of the Daffodils making a perfect contrast with the bright blue sky. 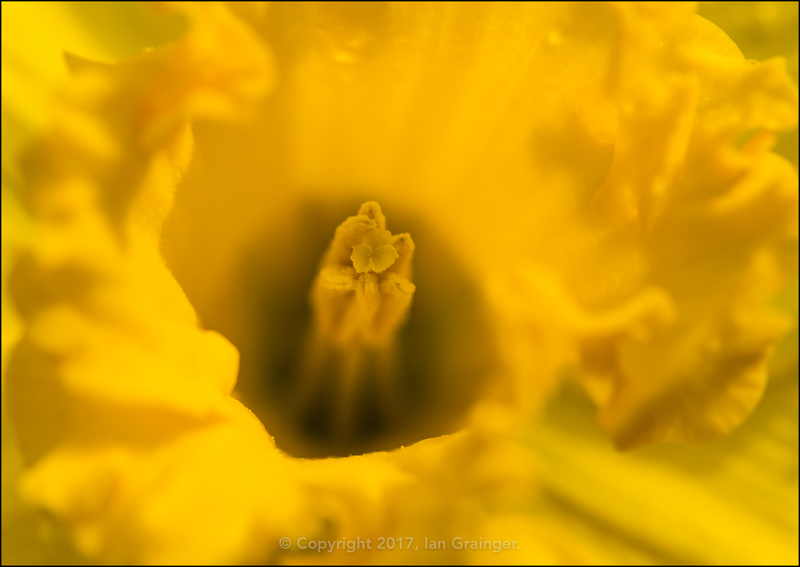 As usual though, I couldn't resist moving in just a little bit closer to see what was going on inside the Daffodil's trumpet. 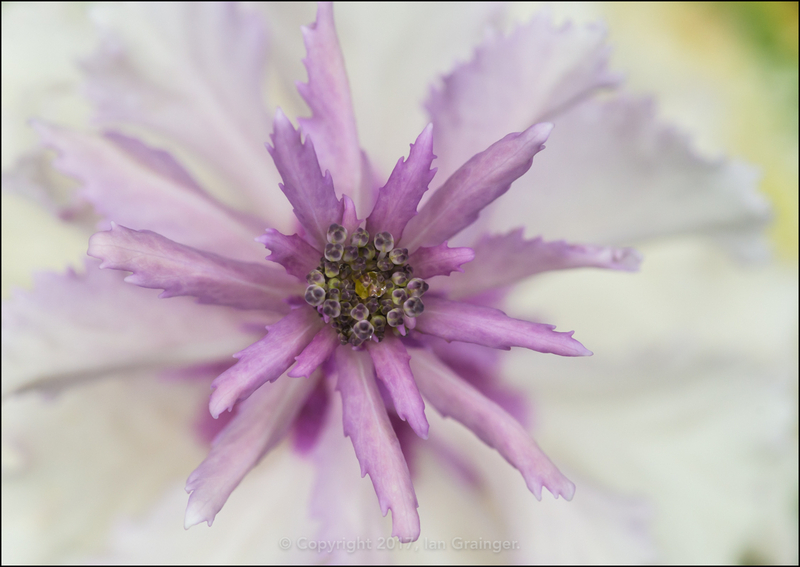 Despite the bright blue sky, however, it was also quite wet, with showers passing through constantly. 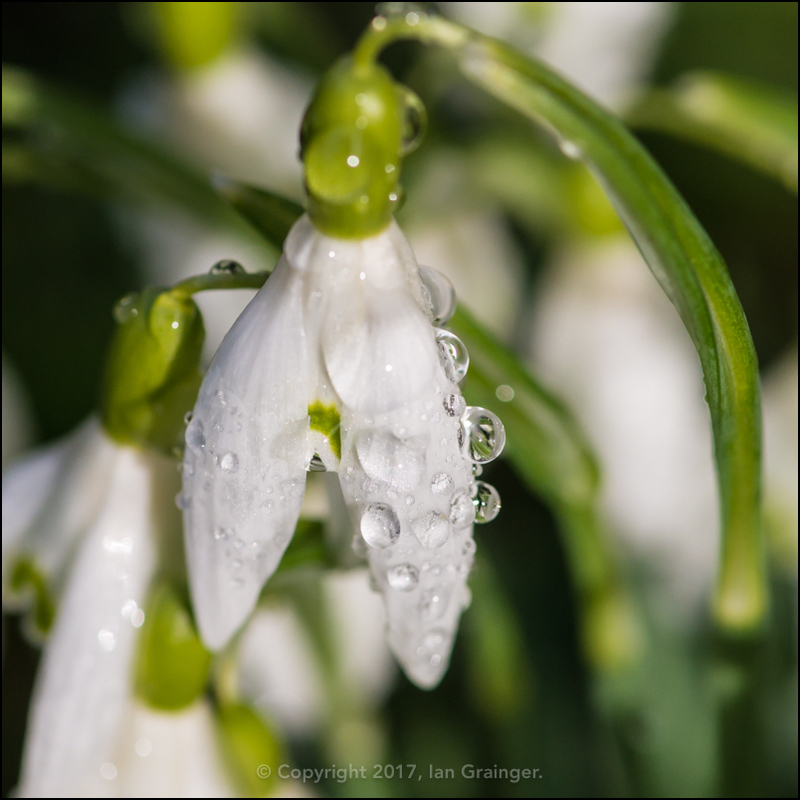 I didn't mind too much as the raindrops made the Snowdrops (Galanthus) look quite lovely. 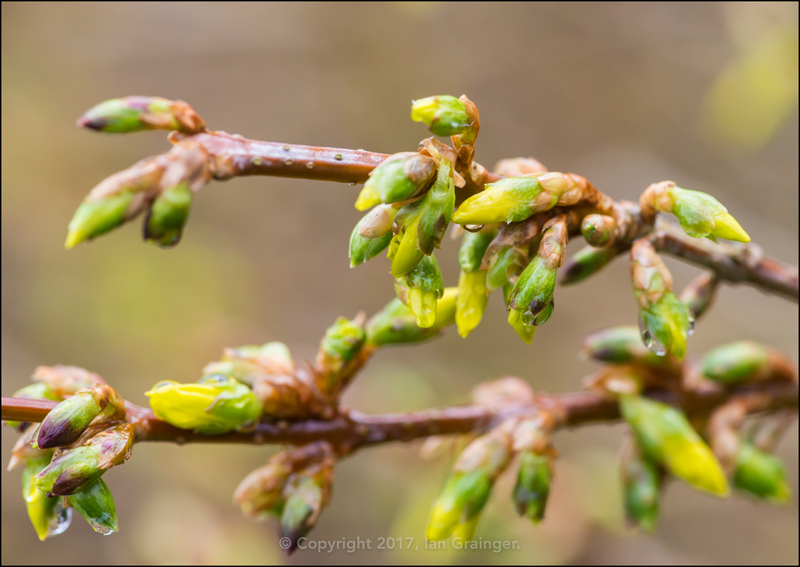 By the look of things the Border Forsythia (Forsythia intermedia) is going to look quite spectacular if all of the flower buds fulfil their promise! 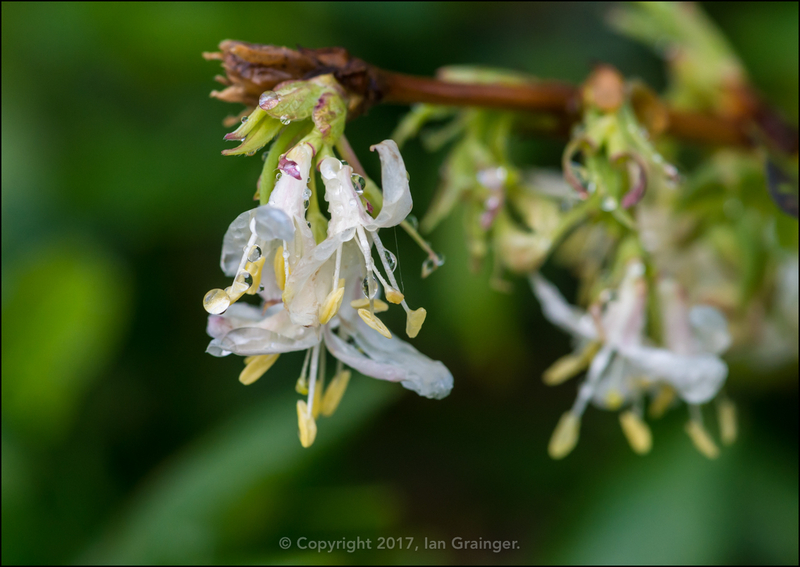 The Winter Honeysuckle (Lonicera fragrantissima) has already put on a wonderful display of both sight and smell, and is now coming to an end of its flower cycle. 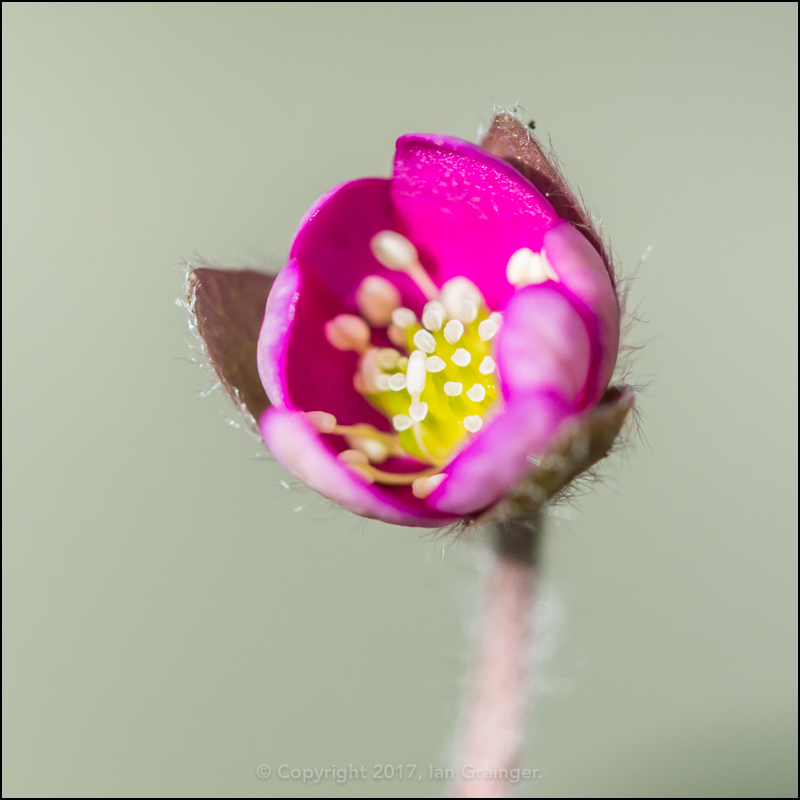 The Camellia bush, on the other hand, has only just begun its display, and with any luck will go on flowering for four or five months. 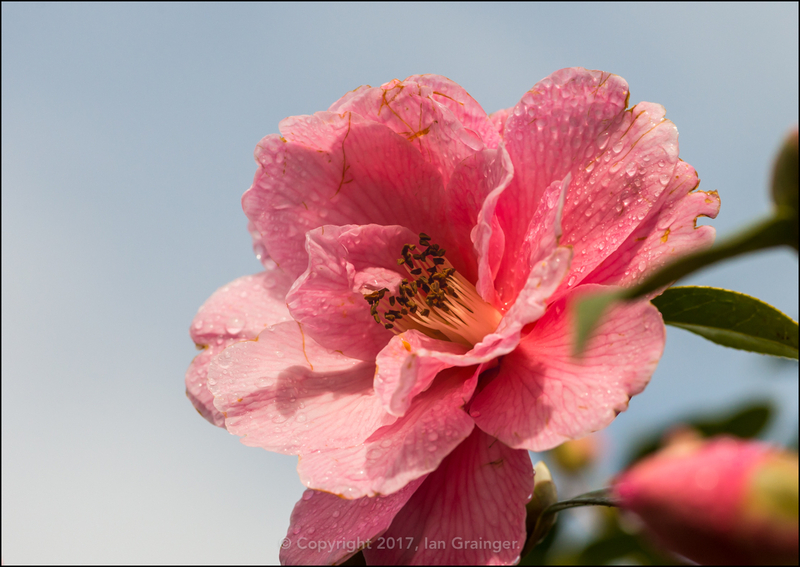 The Camellia petals were looking particularly endearing covered in a multitude of raindrops. 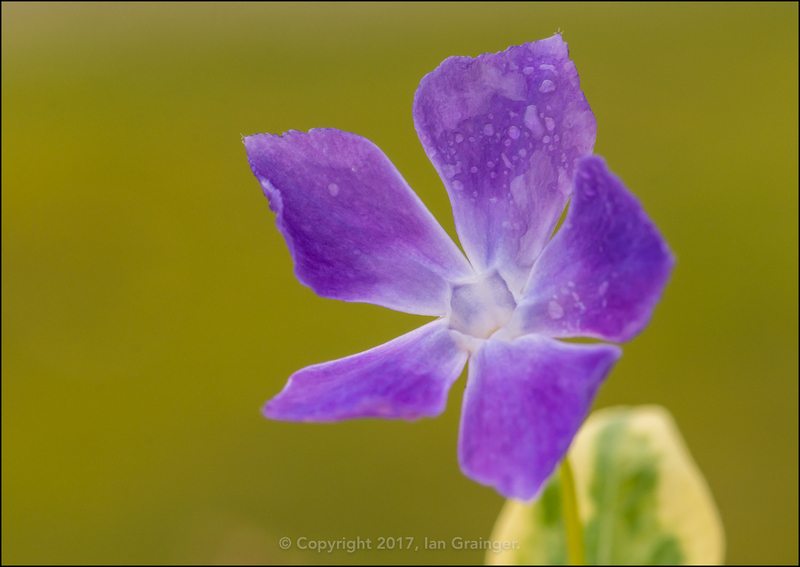 I really liked how colourful this Periwinkle (Vinca) flower was looking. 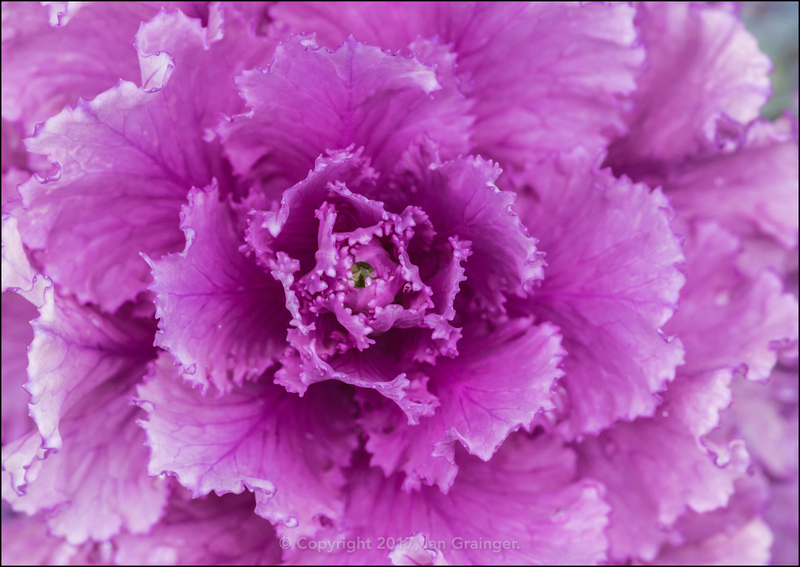 It seemed to consist of every tone of blue and purple in existence. 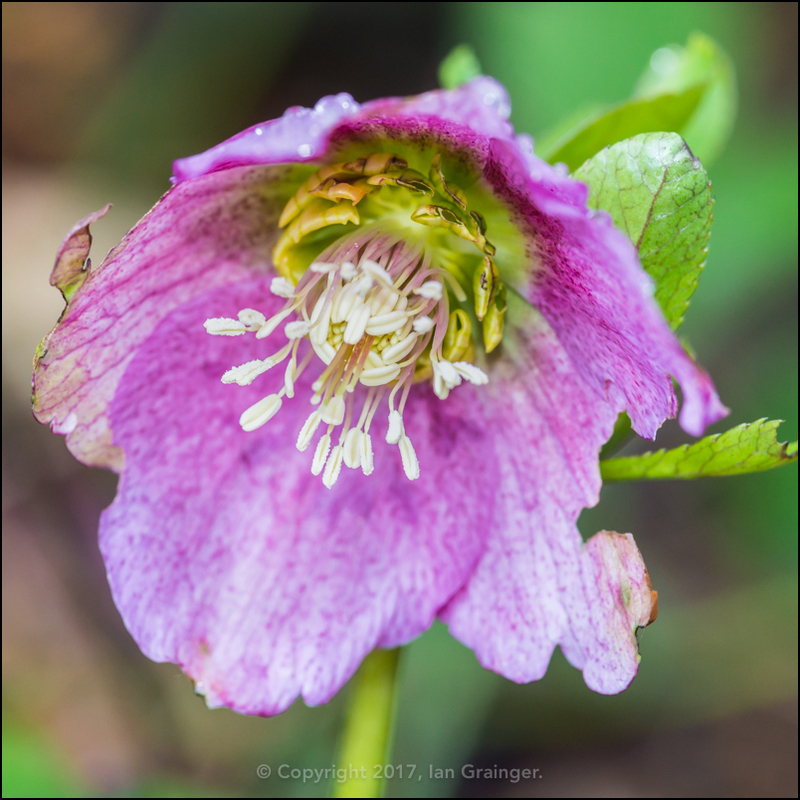 Unfortunately, this pink Hellebore (Helleborus) wasn't faring too well, having been apparently nibbled by some unseen and unknown marauder. 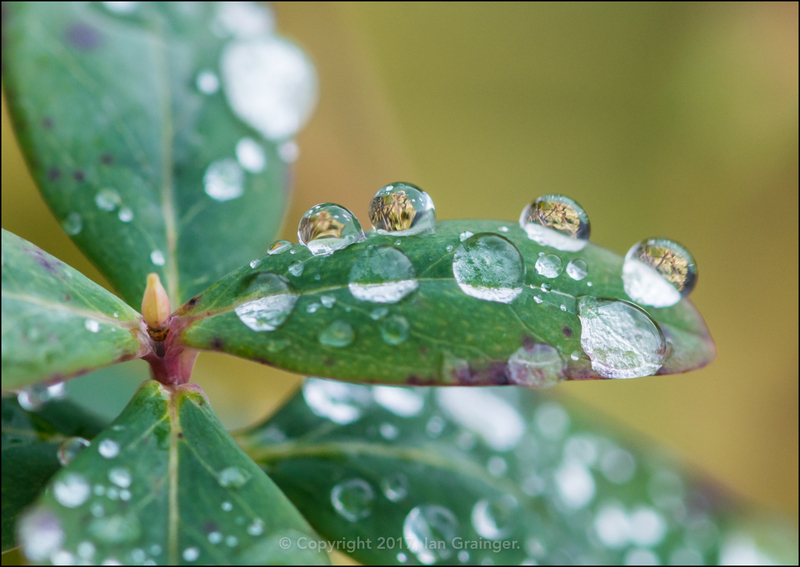 And so to the obligatory raindrop on leaf shot that I always seem to post when it has rained! 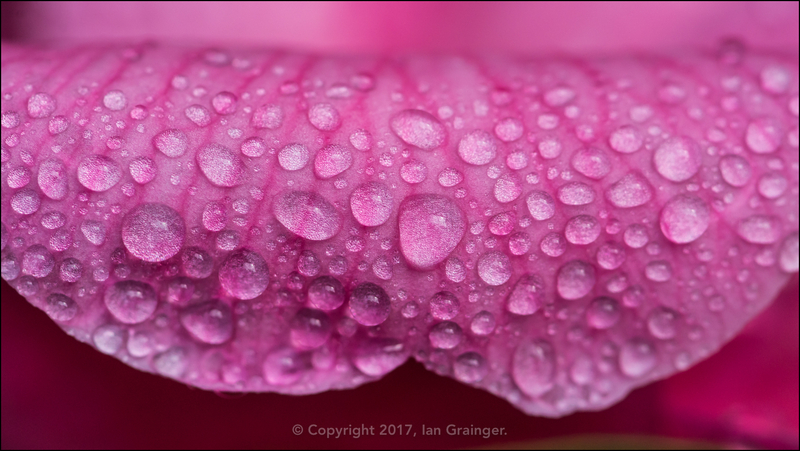 I'm sort of addicted to raindrops, which is just as well with the amount of rain that falls here! 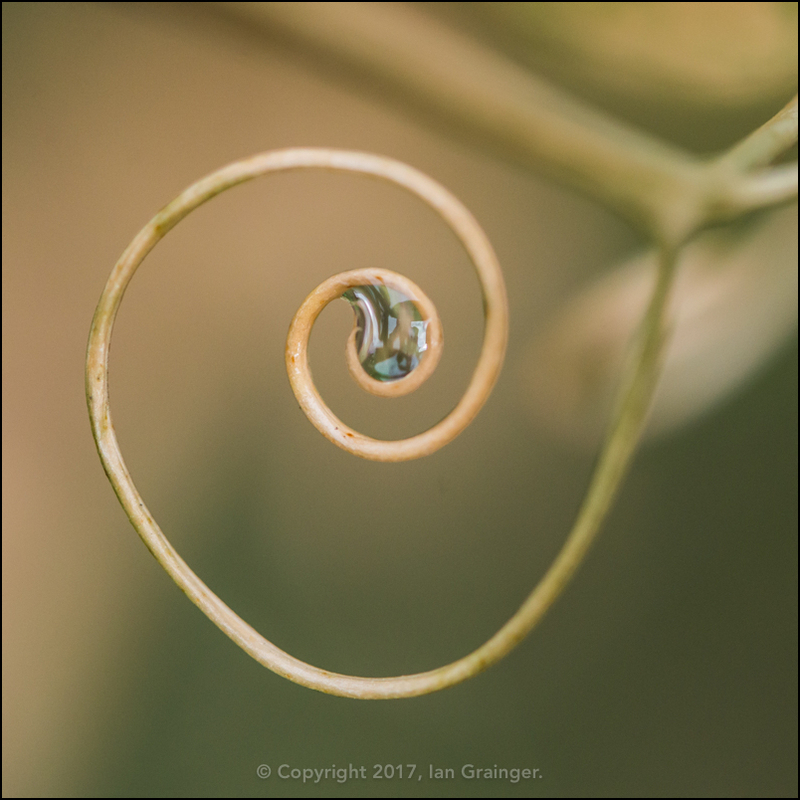 I'm also a sucker for an abstract vegetation shot, as can be witnessed by this spiralling Sweet Pea (Lathyrus odoratus) tendril. 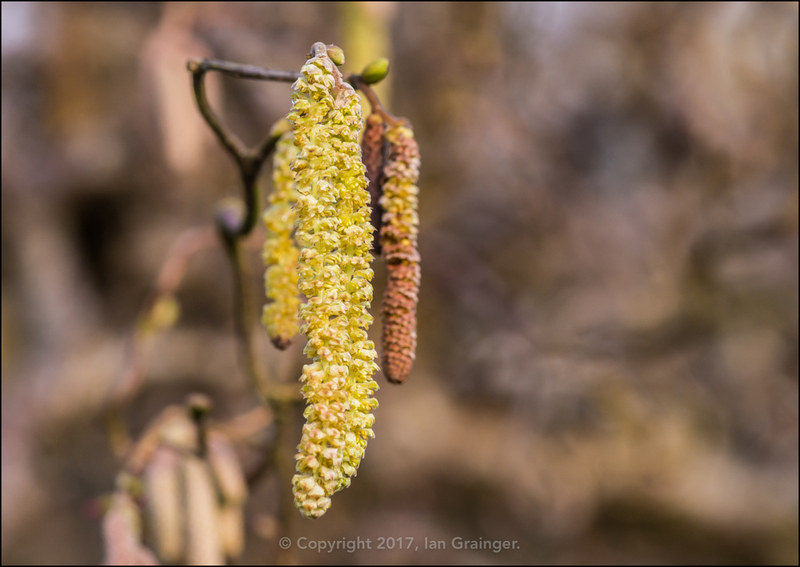 Finally, in dad's garden, the catkins of the Corkscrew Hazel (Corylus avellana Contorta) tree were starting to open, and had begun to release their pollen. 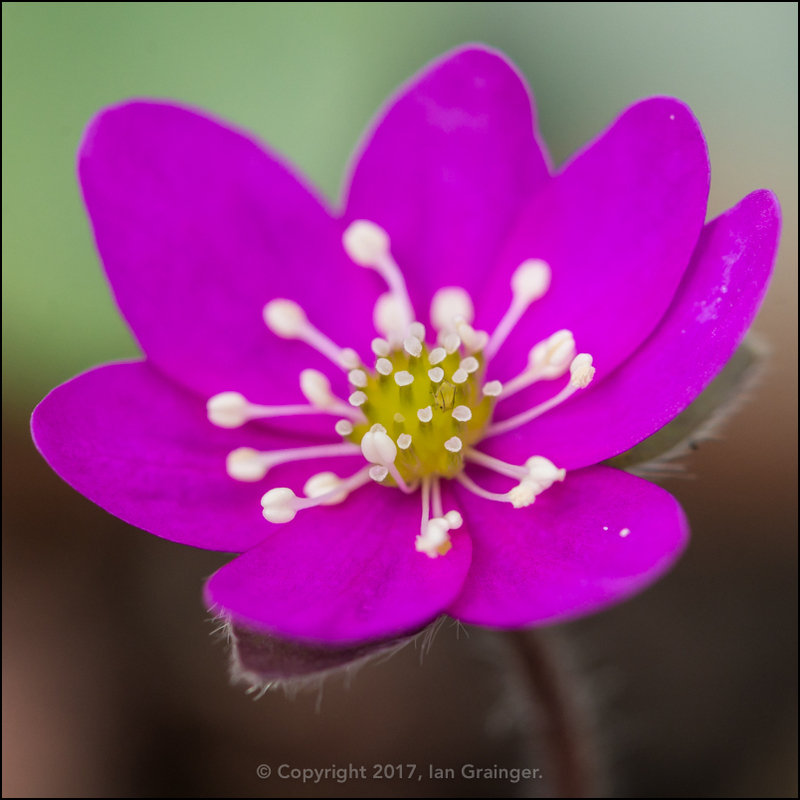 ...and by waiting patiently, after a spot of sunshine, I was rewarded by the pure beauty of this tiny flower - as was apparently an even tinier Greenfly (Aphid). 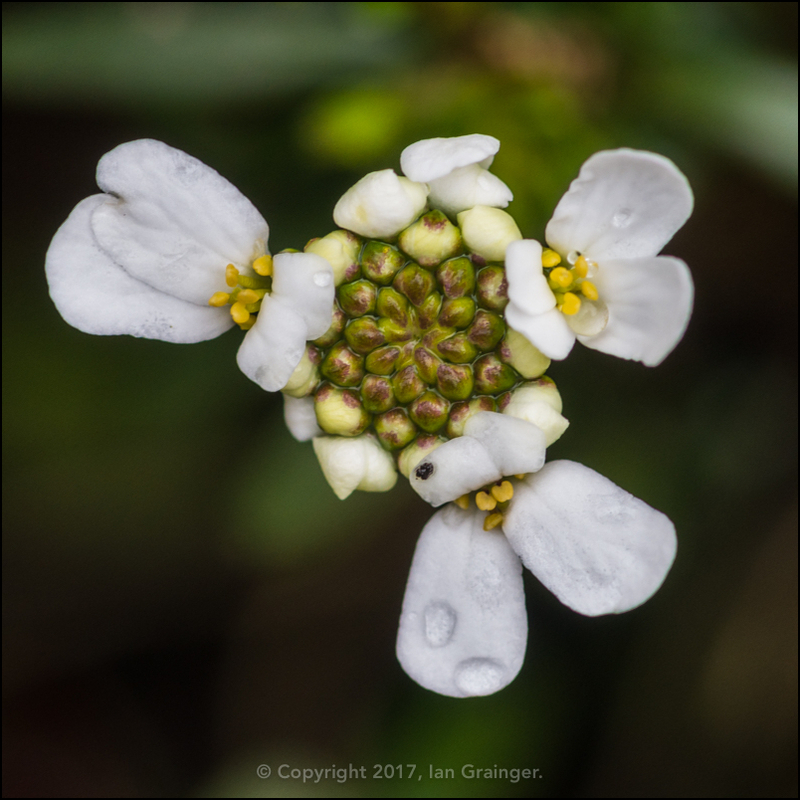 ...and the early spring flowers of the Candytuft (Iberis) bush. 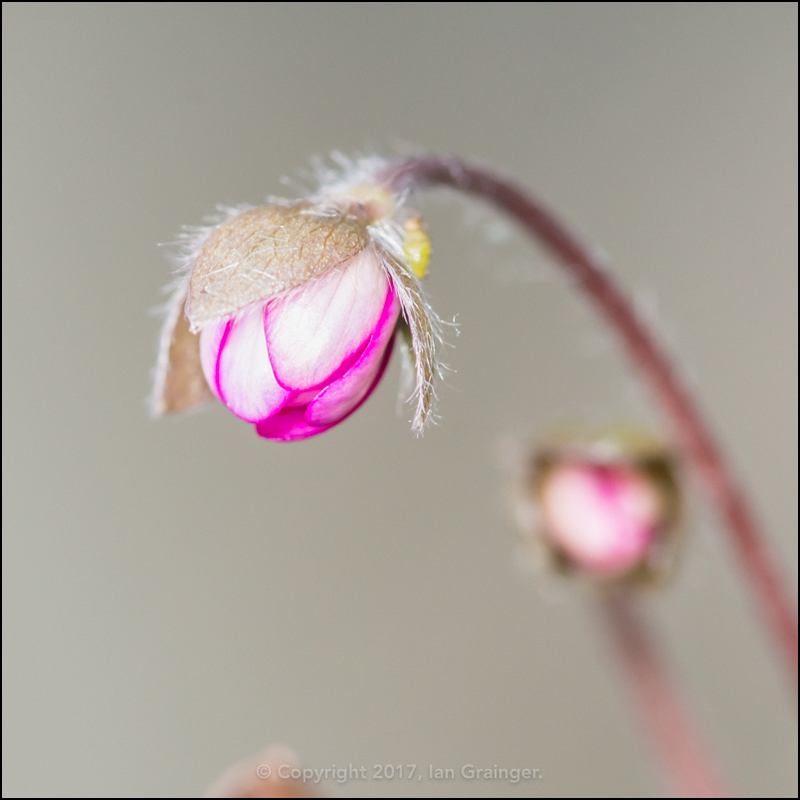 ...while this pink one was still holding its form. Finally, what of my furry photogenic friend? 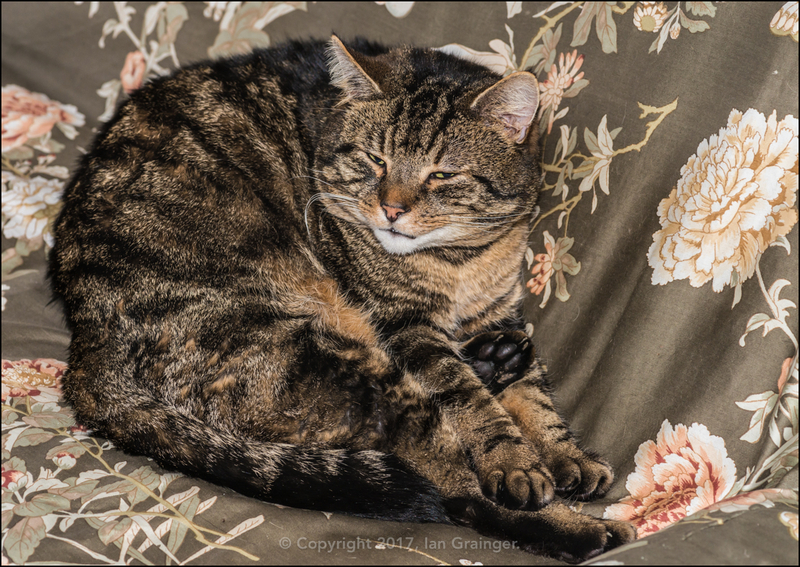 Well, this week he was behaving rather oddly, and tried to sit upright on the sofa, making him look altogether very uncomfortable indeed!